MP4 is the most popular video format for many device like Windows PC, Mac, iPhone, Android phones. Compared with MP4, WMV is widely used on Window computer only. So if you want to have your WMV file playing on other platform, you will better convert WMV to MP4. How? 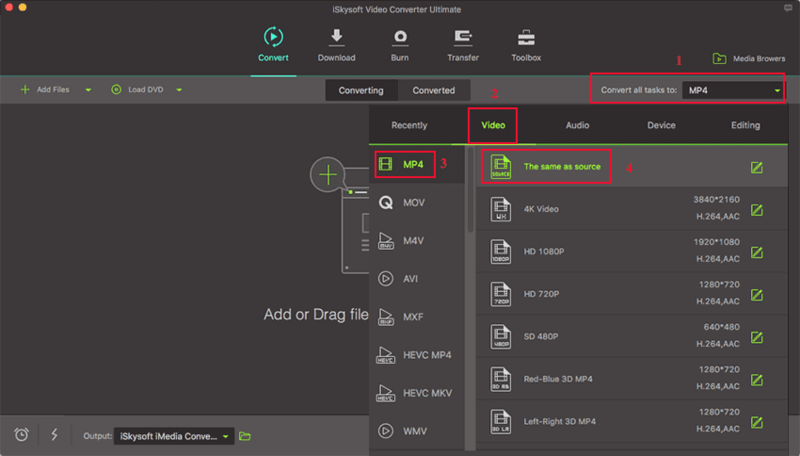 In this article, you will learn how to convert video with the best WMV to MP4 converter in Part 1 with step-by-step guide. And in the rest, you will learn how to convert .WMV to .MP4 free with online WMV to MP4 converter. Now let's explore them! Being the best video converter, iSkysoft Video Converter Ultimate enables you to convert video or audio in 150+ formats, without quality loss. The conversion speed is 90 times faster than other converters. And it has more other fantastic features. Let's view it below. Convert video and audio between 150+ formats and preserve 100% of the original audio and video quality. 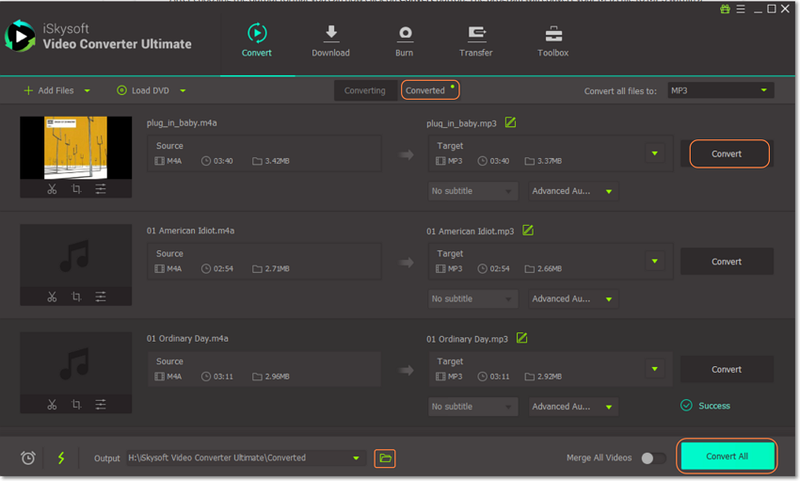 Personalize your video output performance before conversion by Trim, Crop, Watermark, Effects or One Click Enhance. Download or convert online video from 1,000+ streaming video sites such as YouTube, Facebook, or record those unable to download videos. Burn WMV/MP4 or video of other formats to blank DVD with pretty templates. Convert to portable device models directly and then transfer to them easily with USB cable connected. Handy Toolbox: Provide with a set of useful tools such as GIF Maker, Screen Recorder, Fix Metadata, VR Converter, Video compressor, etc. You can watch the video below to get a rough idea of how to convert WMV to MP4, then follow the detailed instructions to get started. Once launched iSkysoft WMV to MP4 converter on Mac or Windows PC, you will see an "Add Files" button on top left of the main window. Click that to import WMV files from your computer. Or simply drag and drop WMV video to the program. Alternatively, you can also load WMV files from your portable device or mobile phone by clicking the drop down icon beside. After importing WMV files, you will see output format selection tray on right of each video clip. Select "MP4" format from "Video" tab. You are also allowed to select MP4 format for all imported WMV videos by "Convert All Files to:" option. In each video clip, you could also set the resolution, bitrate, frame rate or other encode settings. Once done with all the settings, turn to the main interface. 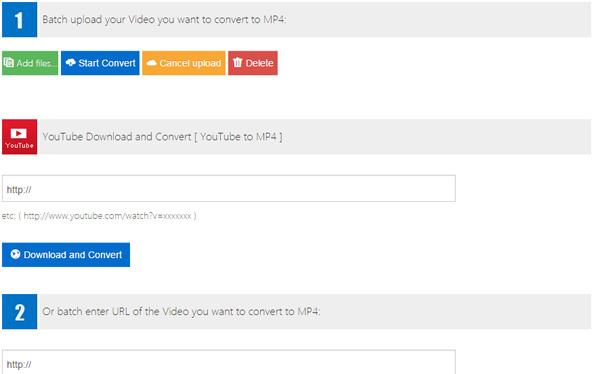 You can either tap the "Convert All" button at bottom right to automatically convert all WMV video to MP4 or convert one by one manually by selecting the "Convert" button in each video clip. Within several seconds, you will got your WMV file in MP4 on your computer! 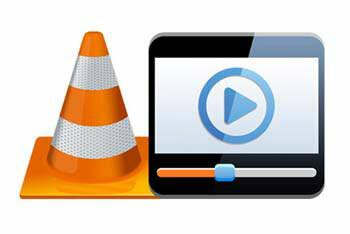 VLC is an open source WMV to MP4 video converter that comes out good in video conversion. It does not suffer from virus attacks very often and has no advertisements that can be distractive when editing. Other positives about VLC include fast conversion speeds, powerful features and an easy-to-use interface. 1. Launch- with the program already in your computer, launch it and click on the "File" menu to add files. Go to "streaming/exporting wizard…" option and then "transcode/save to file" which will allow you to select the videos to import. 2. Choose format- you can then choose MP4 as the right output format as well as the folder to store converted files. Give the folder an appropriate name. 3. Convert- clicking the "finish" button will complete the video conversion process in record time. If you have chosen to use Handbrake for converting WMV to MP4, it will be the best decision that you can ever make. Not only is it compatible with MP4 but several other popular formats. It will be the best experience to enjoy when converting video. 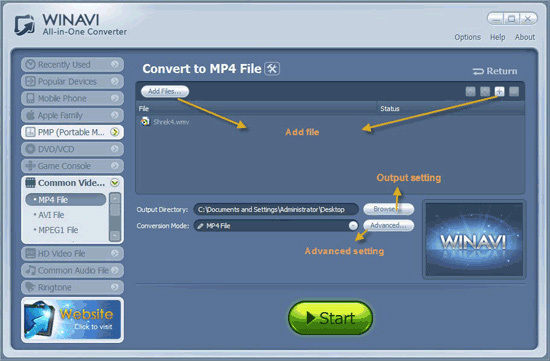 Let's see how to convert with the free WMV to MP4 converter. Step 1. When using Handbrake for the first time to convert videos, use the following steps and you will not have a hard time. Step 2. When you have the program installed to your computer, launch it and continue to add files. You have to click on "source" for files to be added. Step 3. The output format is very critical whenever you are converting videos. In this case, you will be obliged to choose MP4 from the many that the program has. You can as well tweak settings for both video and audio. Step 4. Begin conversion by clicking on the "start" button. For those who don't know, FFmpeg is very easy to use with straightforward commands. There has been a general perception that FFmpeg is very complicated but you need to have a firsthand experience and ignore such falsehoods. For maximum benefits, ensure you have the latest version installed to your computer. 1. Create a folder in the program and give it a name. That is where you will store video files that you intend to convert after importing. 2. Go to "file" then "save" from the menu bar to choose whether you want them converted as a batch or individually. This step is very critical more so for batch conversions. 3. Finally, convert your files by double-clicking. If there are errors, they will be displayed as well as progress of the conversion. With AVS Video converter you can convert your WMV files to MP4 format with ease. This software supports wide array audio and video file formats such as WMV, AVI, MOV, MP4, and OGG just to name a few. 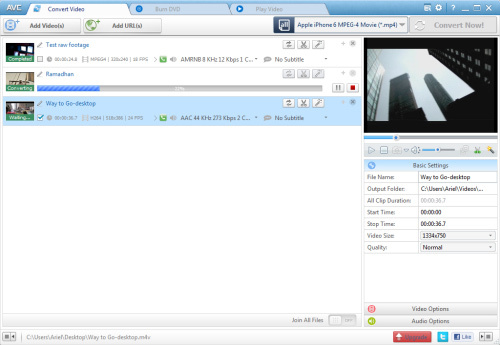 It also supports different output formats like MP4, AVI, FLV, VOB and others. This software enables you do some basic editing features and special effects that you can add on your videos. Also, it has an inbuilt DVD burner to burn all your files to DVDs. It supports a wide array of file formats. It has an excellent customer support service. It only works with Windows. It lacks 3D video output. This is a free edition with more bias on Mac for converting HD and SD videos. Do not be fooled to believe that the availability of this program freely denies it key features. It is full-featured and will be able to manage video conversion across very different formats. Additional editing tasks to accomplish with the program include cropping, trimming and adding watermark as well as subtitle to video. It is a good choice for customizing a converted video. In short, it’s an all-in-one program that can download video file, record it on-screen and then edit as you will wish. The standout feature for the program is its intuitive interface that makes it user-friendly for even beginners. Takes a long time to load videos. Downloading video files to convert is one of the easiest things to do with the program. This is courtesy of the one-click web video download feature that allows for instant detection and capture of targeted videos. If you want to have any files downloaded using this program, you can either copy and then paste the URL link or use the "Download" button. On top of that, other benefits that you stand to enjoy include reliability and ease of use which is lacking in most of the video converters. 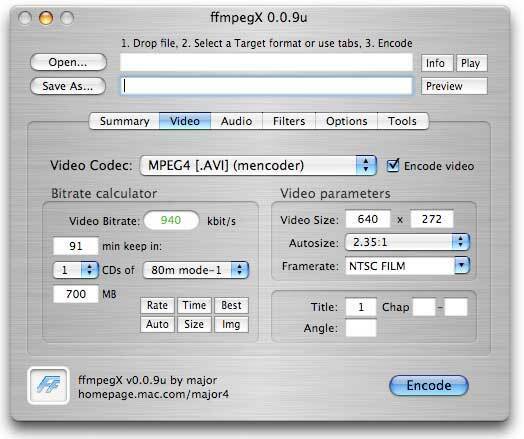 convert WMV to MP4 mac. You have to pay for the full version. This is open source software program that you will enjoy free use. It is one of its advantages because not many people can afford to pay for the program. If your intention is to convert WMV files to MP4 for ease in playing on other devices, it will be the best choice that you can make under any circumstances. Its only downside is inability to convert to OOG but that should be least of your concerns. As long as the output format of MP4 is available, make sure you have the best opportunity for enjoying using the program. Consider a free trial before you can officially have the program for converting your files. The professionalism offered by this program is one that you will cherish forever. It can convert both audio and video formats making it an all-rounded program because you will play your videos on all portable devices supported by Mac and Windows. You might be wondering why WinAVI All-In-One converter should be the choice you make. The conversion speeds are very high and will allow you to save up to 80% of your precious time, converted files have the guarantee of high quality, the interface is user-friendly to make you feel comfortable when editing while conversions are manageable by a single click. There is huge bias towards Windows when using this software and its available free. Its universality and versatility makes it ideal for video conversion so make it a top consideration in your choices. Even though you will be fighting to use it for converting WMV to MP4 freely, it supports several other formats so you will not be subjected to any limitations whatsoever. The choice will be all yours to make. Regardless of the device that you are using, there are varied preset profiles to fit into that with the availability of batch conversion option and video customization with basic editing tools. The other reasons why you will not regret for choosing the converter is high quality guarantee after conversion and unmatched conversion speeds that are always high. It works in very high speeds, has guarantee for high quality to converted files. It spends much time on loading videos. With Aimersoft Video Converter Ultimate, you can also input different file formats and come out with different file formats. It supports wide variety of popular file formats like AVI, MP4, WMV, MOV and much more. This easy to use software lets you edit your videos by adjusting brightness and adding special color effects. Generally, this software has great conversion abilities and it’s very reliable. It has great user interface. It burns media files to DVD. It lacks technical support service. It lacks DIVX and RM output format. It’s with no doubt that users love Leawo Video due to its ability to manipulate different file formats. It support audio files like MP3, MP2, OGG and WAV whereas video files like MOV, MP4, WMV, FLV MKV and etc. This software also supports DVDs besides other devices like tablets, smartphones, and media players. Leawo also offers basic editing features for customizing your videos. 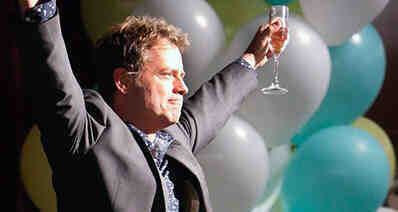 It can convert 2D videos to 3D format. To record videos from YouTube you need to have plugins, which is a little bit tricky to use. If you are looking for no brainer software to use, then Free Video Converter is the way to go. It supports any file format both audio and video. This software supports different devices that you can convert data into them. Furthermore, It has an inbuilt DVD burner as well as editing tool. It is supports several files formats. When playing audio is not favourable. 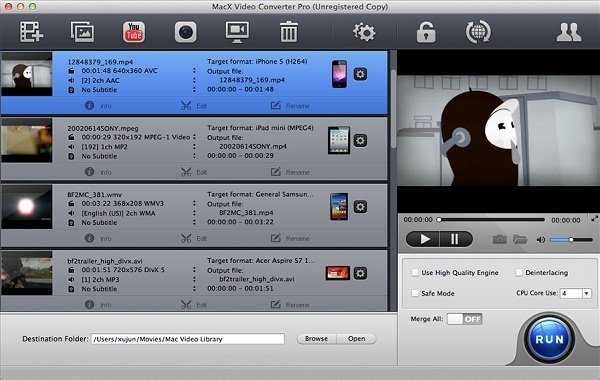 ImToo Video Converter is well re-known for its ability to convert over 80 file formats. It is a simple tool that you can also use to use to rip files from DVD. After converting tools you can also edit them using this software. ImToo is particularly designed for Mac users. The beauty of this software is that it enables you extract audios from video files. Convert WMV to MP4 free. It has an audio extractor. It does not allowing merging of files. It lacks a good customer support. This service has been among the most popular online conversion tools for several years now, and it's easy to see why. It unashamedly puts content first, rather than trying to wow users with a shiny new interface. Like many powerful programs, it may look rather basic at first glance, but there are actually a lot of options under the hood. You can do things that you wouldn't necessarily expect from an online converter, such as alter the sound quality of your output file in considerable detail. There are fewer ads than you'll find with some of its competing products, making this converter a compelling proposition. Help convert WMV to MP4 online. Surprisingly powerful for an online application. Premium membership required for some tasks. Can be a little slow with larger files. The Dan's Tools range contains a whole host of useful things, but its online video converter is a particularly handy one. This is aimed at the intermediate user, who may not want to fiddle with a huge number of settings but would still like to be able to control a few options. The most important of these is the drop-down box that contains a large number of possible output resolutions. It's not very well ordered, but pretty much all the sizes you're ever likely to need are in there somewhere. There are four quality presets, ranging from "Low" to "Very High", and the tool is available in ten languages. No size limits on input files. Very few ads for a free tool. Resolution list can be confusing. The Zamzar converter scores particularly highly on ease of use - it really is as simple as dragging your input file into the box provided, setting the options you want and then pressing the "Convert Now" button. You can have the output file sent directly to your chosen email address, which means that you can let the converter get on with the job in the background while you do other things. That's good, because this is not one of the quickest converters around. There is a 100 MB size limit on the free version of the converter; if you want to run larger files through Zamzar, you'll need to shell out for one of the premium options. Simple to get to grips with. Works well in the background. Free version is limited to 100 MB files. Not the fastest program around. If you were choosing a converter based simply on how good it looks, then you probably wouldn't go for Office Converter. Its design is cluttered and confusing, with hard-to-read fonts and the FAQ squashed into one side of the screen. In terms of functionality, though, things are a good deal better. Where this converter scores is in the sheer simplicity of its setup: you choose your file and press one button, then you're done - and fast. Pleasingly, the makers of this online tool understand users' privacy concerns: bulk deletion of output files is available even to free users. The size limit is a bit low, but for small files this isn't a bad choice. Batch conversion and deletion functions. If you don't want or need to be able to tweak your files before conversion, and you're happy with a simple, reasonably fast converter that just does what it says on the tin, then Convert.Files is worth a look. It doesn't have the most attractive interface, with large swaths of green almost overwhelming your monitor screen at times, but appearances can be deceptive. There can't be many simpler online conversion tools to use than this one, since all you have to know is the location of your source file and whether you want the finished MP4 file to be sent to your email address. Offers users the choice of whether to send output files to email. Can download files directly from YouTube. Hasn't been significantly updated for several years.